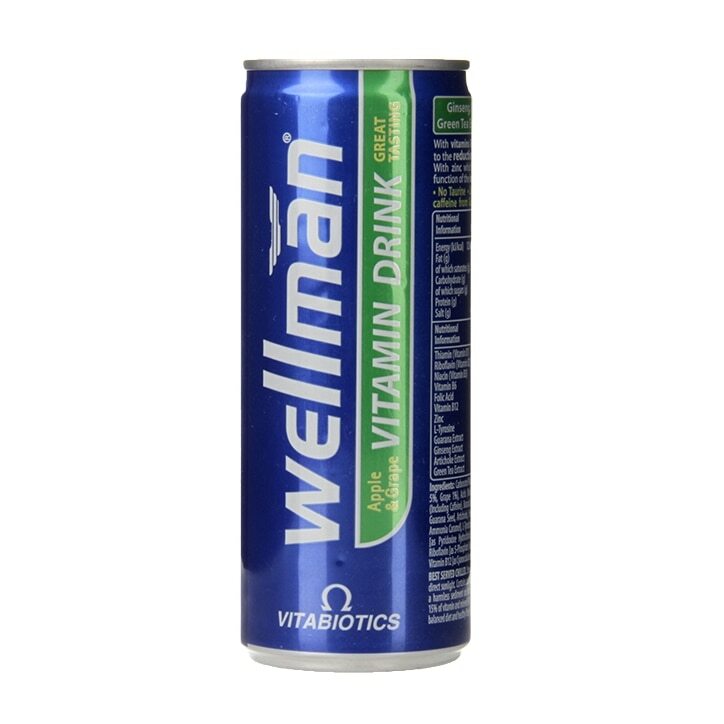 Vitabiotics Wellman Vitamin Drink is rated 4.9 out of 5 by 8. Rated 5 out of 5 by Marvelik07 from Great discount for great product Half price a real bargain. I was really pleased with my order. Rated 5 out of 5 by Neillio from Mr Great product and not too much just right size nice crisp taste to it realy refreshing thanks. Rated 5 out of 5 by Archer71 from Good product - great price. I've been looking for a natural alternative energy drink and this fits the bill. Gives me the morning boost I need as well as being seriously better for my body! Rated 5 out of 5 by Anonymous from very satisfied the cans was fresh and cold. I receive gift as two boxes Ricola. Rated 4 out of 5 by onelove from Great pick me up This is a refreshing drink, I use it in the middle of the day to keep me going. I have ordered this several times.